Of course Neiman Marcus has launched the Spring 2015 Beauty Event by collaborating with a stellar designer on the Beauty Event bags…Eddie Borgo. This super style duo factor is off the charts. The really gorgeous part? With any cosmetics or fragrance purchase of $125 or more, customers will receive a stunning Eddie Borgo magazine tote with the must-have Spring beauty samples. 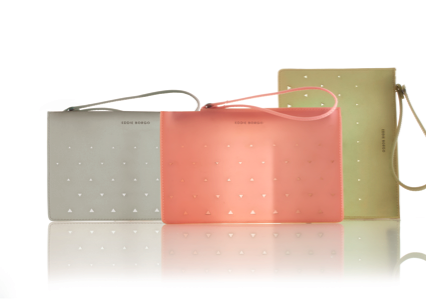 Even better, with a purchase of $500 or more, the customer will also receive a matching wristlet.